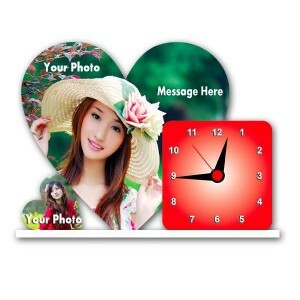 We have wide range of acrylic table clock that can be personalized with your image and create a unique personalized gift which you can use as home decor or can gift away. 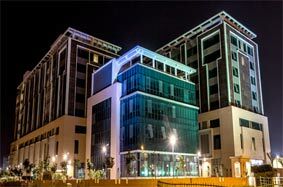 The polished surface of our acrylic will enhance the shades of your photo to make them splendid and enthusiastic and making details look crisp and clear. 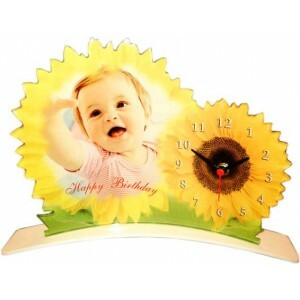 Along with the image and design, a clock is attached to make the gift an useful utility also. You can give personalized message to suit event of your gift. Acrylic clocks are decent and beautiful customized gifts for your companions and friends and family. You can use the product as a gifting purpose or for own use as a home decor item.